Barbara Bobrowitz, M.Ed, is a certified Feng Shui professional consultant, teacher, mentor and speaker based in Minneapolis, Minnesota. mentoring professional feng shui consultants. Contact Barbara at 763-571-9437 or energeticalignments@gmail.com with any questions and for an appointment. Barbara Bobrowitz, founder of Energetic Alignments, is a highly trained and experienced Feng Shui teacher and consultant. Having studied with Feng Shui Masters and indigenous teachers from all of the Americas, Barbara has shared energy tools with willing seekers for the past 20 years, assisting them in making conscious and beneficial changes to their lives. 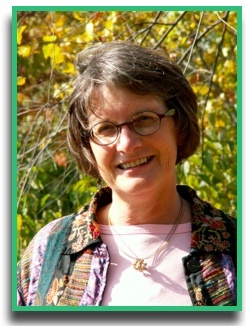 Since 2005, Barbara has added a personal energy management system developed by John Friedlander based on his studies with Lewis Bostwick, at the Berkeley Psychic Institute, and Jane Roberts. This approach teaches a more deeply grounded way of moving through life with curiosity, amusement and clarity. Barbara deepens her use of these techniques in her personal and professional relationships by continuing to work with John to explore the spiritual dimensions of energy, chakra clearing, healing, and happiness.